The first real XXL swell of the season arrives. 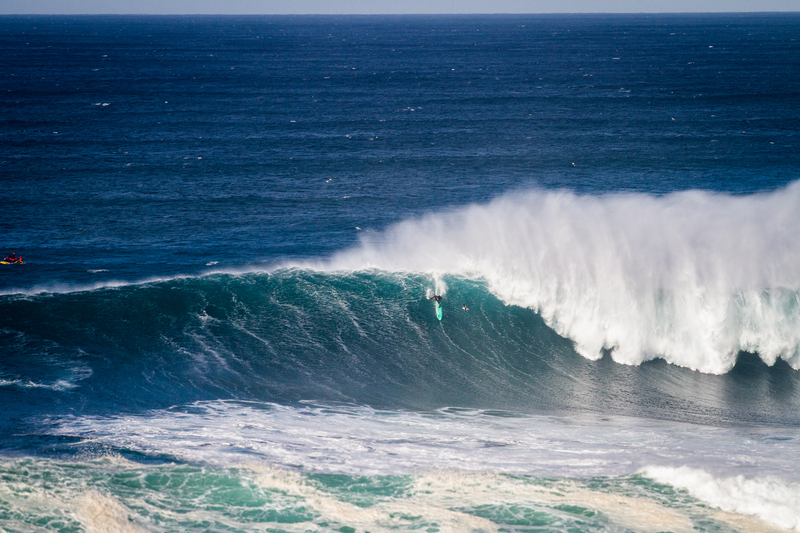 Yesterday saw the first real XXL swell of the season arrive at Europe’s premiere big wave spot, Nazaré. 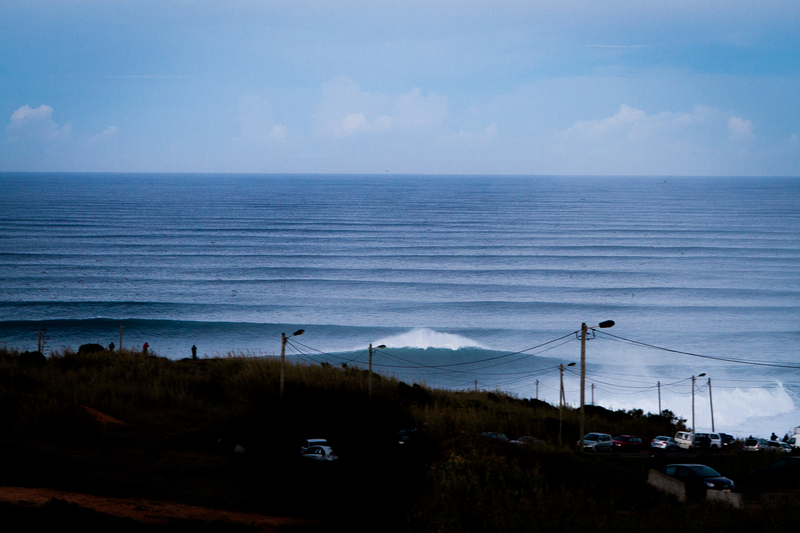 A solid ground swell and strong offshore winds made for perfectly picturesque conditions and as the sun rose over the small Portuguese town onlookers were greeted by clean corduroy lines stacked up all the way to the horizon. As the morning wore on hundreds of spectators arrived, lining the cliff top which overlooks the wave to witness big wave surfing at its most close up and spectacular. As soon as the sun was up the line up too began to fill up with surfers and their accompanying skis safety partners. As has become increasingly common in big wave line ups around the world, the pack was split between those looking to paddle in and those looking to get towed into the waves. Amongst them were British chargers Tom Lowe, Tom Butler and Andrew Cotton. Neither Butler nor Lowey, who were both part of the paddle contingent, had a jet ski with them, meaning they both had to find an alternative way out into the line up. “I went down to the harbour first thing this morning” said Lowey “and basically just hustled for two hours until someone gave me a lift on a ski”. Butler however, opted to paddle round, setting off from the harbour on his gun on a journey that would end up taking him an hour and a half. Although he didn’t get any bombs, for Butler it was worth it for the experience alone. “Super happy still” he wrote on his Instagram, “another days training and gaining knowledge about the line up and my equipment!”. The day’s stand out performances undoubtedly came from local legend Alex Botelho, who paddled into several massive ones, making some impossible looking drops with ease and German charger Sebastian Steudtner who was whipped into the biggest waves of the day. Alex Botelho paddles in to one of the waves of the day.